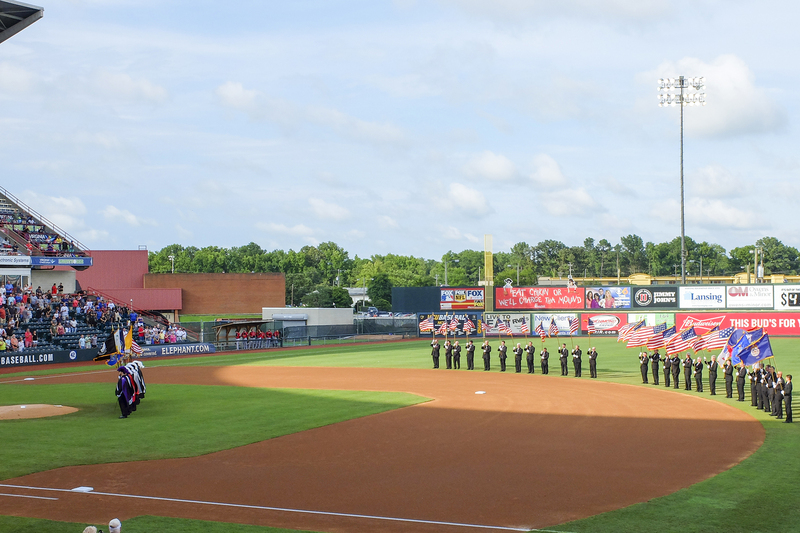 Muster time is still 6:00 pm at the Diamond field entrance gate at the end of the stadium past 1st base. We will perform between games around 7 pm. Free parking is only available at the entrance from the Boulevard at the end of the stadium near right field. Tell the Attendant that you are with the Knights of Columbus for the between game Color Corps flag presentations. Larry Floyd and I will arrive around 4 pm. Larry will have tickets for those members who wish to see the 1st game as well as the 2nd game. I suggest that you bring a change of clothes if you intend to stay for the game(s). If you can not find us, phone Larry Floyd @ 804-229-3717 or myself @ 804-397-9554. Bring a Sir Knight friend in Social Regalia and carry a flag. 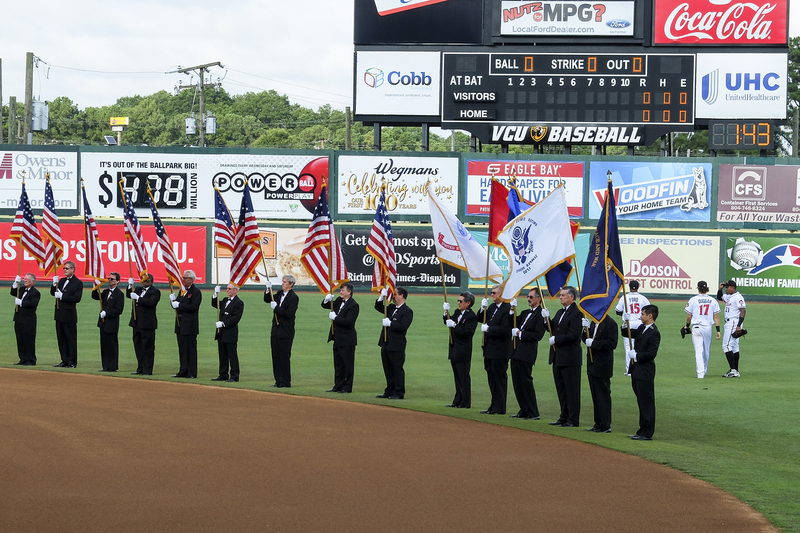 Fourth Degree members throughout the Richmond Area are being requested to come out and help us show our Patriotism with the Presentation of Our “Honor America Flags” at the Diamond on Saturday, July 29. Note that this event is for ALL Sir Knights, not just Color Corp members. There has been a time chang e, because the Flying Squirrels will be playing a double header on the 29th of July. Muster time is now 6pm on the first base side of the stadium, in between games. This will give us more exposure. I am asking each and every one of you to participate in this event. If you can participate, either as a color guard member or a flag bearer (Tuxedo & Social Baldric) please let Matt Zahl (440-821-2633 or mattzahl@aol.com) know ASAP! 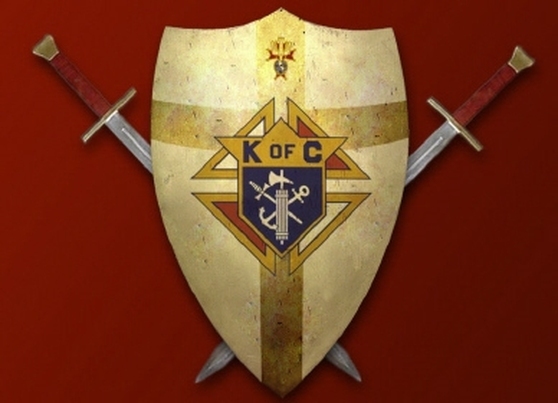 Please note that there is a 3rd Degree scheduled for August 26 at St Michael’s ….all second degree Knights should consider this opportunity! For those who do not know it, Brother Greg Stivers home burned down the other day….there is a “go fund me” link below if you are interested in contributing. Per your request, below is the link to The Stivers Family GoFundMe page. Greg Stivers was supposed to pull a trailer full of gear to Charleston for Catholic Heart Work Camp. However, his house burned down last night – needless to say, he can’t go. Ann Marie asked if any other faith-filled men that might be able to step in – Can you or anyone you might know, be able to go to Charleston next week (Sunday 7/16 – Friday 7/21)? If so please email Deacon Pat at deaconpat317@gmail.com.